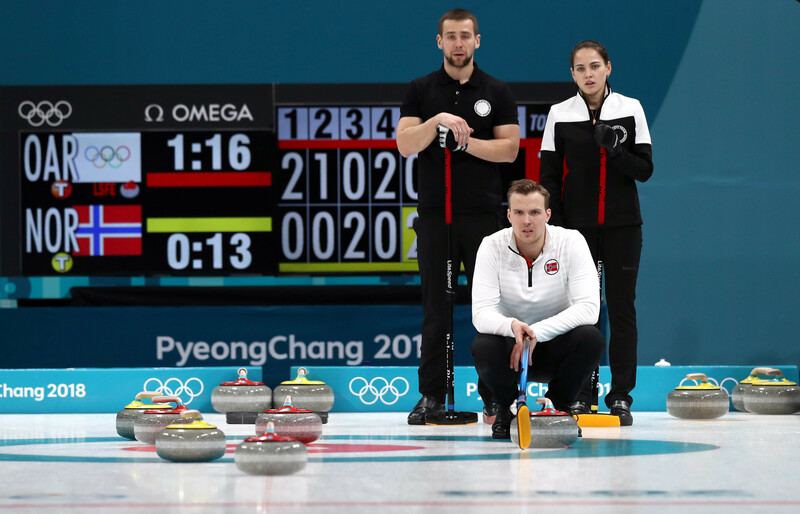 His decision means that Krushelnitckii and his partner and wife Anastasia Bryzgalova will be stripped of the Olympic bronze medal they won in the mixed curling event. That will now be awarded to Norway' s Kristin Skaslien and Magnus Nedregotten, who the Olympic Athletes from Russia (OAR) beat in the play-off. Krushelnitckii still does not accept wrongdoing but said in a statement to TASS, Russia's official State news agency, that it would be "stupid to deny" the results of two positive tests. The 25-year-old from Saint Petersburg tested positive for meldonium, a drug widely used in Russia to treat people with heart conditions, after both the semi-final and final at Pyeongchang 2018. It is widely believed that the case has been dropped as part of a deal for Russia to participate under their own flag at the Closing Ceremony of Pyeongchang 2018. It follows a meeting here between International Olympic Committee (IOC) head Thomas Bach and Igor Levitin, a Russian Olympic Committee (ROC) vice-president and a close aide of Russian President Vladimir Putin. Krushelnitckii had been due to face a CAS hearing here at 2pm today. CAS told insidethegames they had not been officially informed of Krushelnitckii's decision to drop his appeal. "It is not impossible that the parties have entered into negotiations and will come with a settlement agreement," CAS secretary general Matthieu Reeb said. This will still go ahead but will likely be far shorter as he accepts the charge. CAS will formally disqualify him from Pyeongchang 2018 and strip him of his bronze medal. The case will then be passed to the World Curling Federation for further sanctions. He is likely to receive a two-year suspension rather than the maximum four years he could do under the World Anti-Doping Code, unless he can prove his samples were a victim of sabotage. Krushelnitckii told OAR officials immediately after he was informed that he had tested positive for doping that he believed his drink had been spiked during a training camp in Japan before the team left for here. "I have never either violated the rules of sports or used doping," the curler said in a statement provided to TASS by OAR delegation head Stanislav Pozdnyakov. "We won a bronze medal by hard work and constant training. "On my part, I admit that there has been a formal violation of the current anti-doping rules. "It would be stupid to deny it after two tests proved positive. "The samples tested had been collected during the Olympic Games and I am ready to face the verdict that is usually announced in such cases. 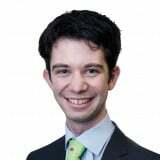 "In this connection, having weighed up the pros and cons, I decided to withdraw my case from CAS. "I believe that a hearing would be useless under the current rules." Krushelnitckii vowed to "fulfill the rules' requirements and after that I will continue doing everything in my power so that the investigation would find strong evidence of my innocence". "This is what the future decision of the World Curling Federation will depend upon, as it is authorised to determine the period of doping disqualifications," he added. 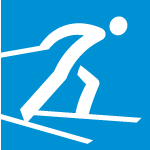 This suspension, issued as part of a sanction for the "systemic manipulation" of the anti-doping system at Sochi 2014, meant that Russians have competed neutrally here under the Olympic flag and the OAR team name. The ban is meant to only be lifted if they are ruled to have acted within the "spirit and letter" of the IOC conditions, which included adherence to anti-doping rules. insidethegames understands the funds are available to be electronically transferred to the IOC and that this process will probably happen later today.